Plants, from tall oak trees to beautiful flowers to crops that feed humanity, start out as little seeds. Within them lie some of the answers to the biggest challenges facing agriculture and food security. Most people don’t adequately appreciate their power. Crop seed variety has dropped dramatically in the 20th century. Since the 1900s, approximately 75 percent of plant genetic diversity has been lost, according to the Food and Agriculture Organization. Roughly 75 percent of the world’s food comes from just 12 crops and five animal species, and the list of foods feeding the world is getting more homogenous across all continents. 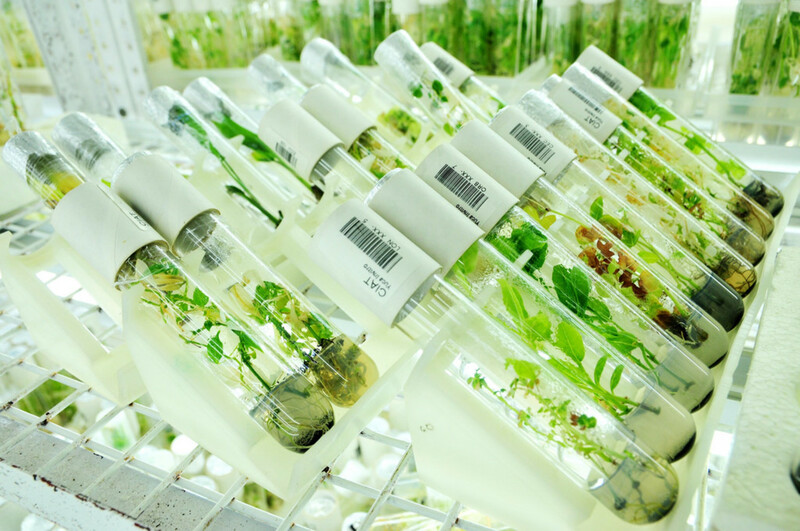 Genebanks are repositories for plants' genetic information in the form of seeds, buds, and anything else that can be used to reproduce plants. Seeds contain within them ways to maintain food security in the face of climate change and other disruptive forces. The genetic information found within seeds could increase diversity while improving nutrition, resisting pests, or tolerating drought. Agriculture faces a wide variety of challenges. Genebanks hold living collections—genetic resources in the form of wild relatives of domesticated crops, ancient traditional varieties, and modern crop cultivars—of potential solutions for each scenario. “Within these crop wild relatives are millions of years of evolution,” said Andy Jarvis, Director of Decision and Policy Analysis at the International Center for Tropical Agricultural (CIAT) in Colombia. There are 37,937 bean samples, 23,140 forage samples, and 6,643 cassava samples that CIAT safeguards in trust for the world at its genebank in Cali, Colombia. These can shape and change the future of global food security. CIAT is building a new genebank that will not only house beans, cassava, and forages, but act as a research hub for the study of crop diversity. The fact that CIAT plans to invest millions of dollars to upgrade its genebank is a testament to how important these types of facilities are to global food security. The answer to global food security may be found in our approach to seed development. An open approach to genetic research will improve diversity while directly improving millions of lives. Genebanks can be the catalyst needed to help transform agriculture and address the most pressing questions facing food security. Humble seeds shaped civilization. Before human intervention led to agriculture, flowers and plants evolved to disperse their genetic material to all corners of the world. Hunter-gatherers were content to harvest wild grains, fruits, cereals, and nuts before the first permanent settlements were established. The Neolithic, or Agricultural, Revolution marked the beginning of farming, civilization, and the ability to sustain a much larger population. Farming also affected how seeds were dispersed. Rice, the world’s most grown crop, was once dispersed after the panicle, or ear, was cracked. That changed during the long process of domestication of wild relatives of the rice we eat today. Various genetic mutations led to subtle adaptations in the panicle, which made rice seed dispersal more reliant on the farmers harvesting the crop. Similarly, corn has changed significantly through human intervention. The ancestor of corn, teosinte, looks nothing like the big yellow ears slathered with butter we see on picnic tables across the US. More like a stalk of grass, teosinte had a hard husk that was practically indestructible. Genetic changes led to larger kernel size and more rows, a more malleable husk, and better productivity. In the pursuit of ever-greater production, we’ve reduced the role of variety in farming and agriculture. Technology, data, and practices honed over centuries allow farmers to cultivate millions of acres every year and produce enough food to feed billions of people. 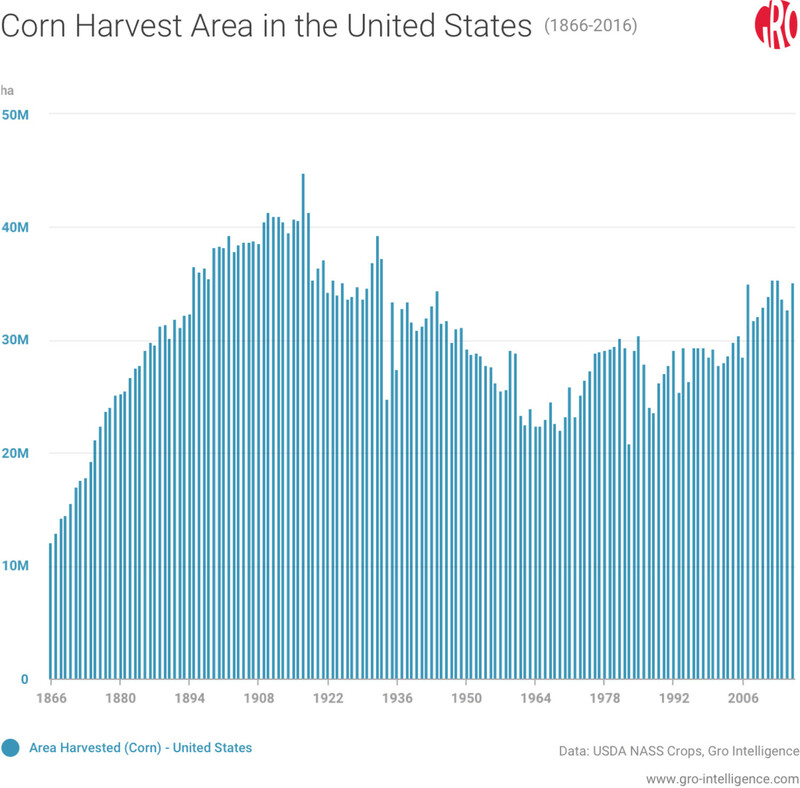 In the US alone, the area harvested for corn has increased from 121,474 hectares in 1886 to 351,057 hectares in 2016, and yields have soared even more. Increased yields since 1900 have led to a decrease in total harvest area in the US, with a record high yield of 10.96 metric tons per hectare (174.6 bushels per acre) in 2016. However, there are unintended consequences of selecting seeds best suited for global production. Modern plant breeding has enticed farmers to practice monoculture, which means the planting of only one variety of a plant across a wide area. Seeds bred for yield and consistency are more likely to find commercial success, and even drive less optimal seeds out of the marketplace. Wheat, corn, soybean, and barley are among the many crops in which monoculture has come about by this mechanism. Commercial pressures push farmers and breeders to trade genetic diversity for short-term gains. Meanwhile, the accelerating loss of genetic and crop diversity has made global agriculture more susceptible to major ecological disruptions, which could have severe global consequences in the long-run. 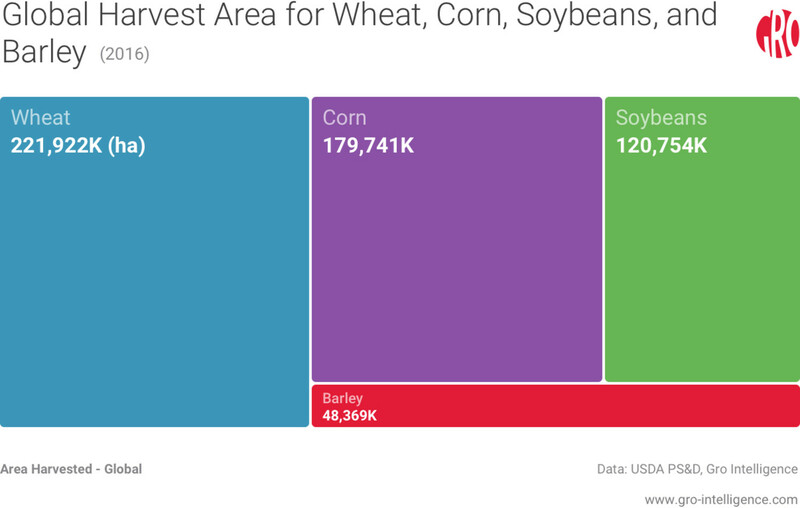 Wheat, corn, and barley alone account for roughly 65 percent of total land under cereal production, the area of which becomes even greater when one considers the additional millions of hectares currently under soybean production. A lack of genetic diversity was one of the factors contributing to the Irish potato famine, beginning in 1840. At the start of the 1800s, Irish farmers planted the “Lumper” potato from fencerow to fencerow to feed the country’s growing population. While their strategy theoretically increased productivity, it sacrificed robustness. Every lumper potato grown in Ireland was a clone, which meant there was zero genetic diversity among the potato crop. A change in temperature coupled with a potato disease completely destroyed the crop. Approximately one million people died during the famine with another million emigrating from Ireland during that time. Unfortunately, the famine was not an isolated event in history. Crop disease and pests will never be eliminated from agriculture, but monoculture has intensified their dangers to crops. A lack of genetic diversity not only impacts what’s produced, but what’s on our plates. Chances are that today’s children have not had the same experience of eating a banana as their grandparents. Cavendish bananas account for approximately 99 percent of the world’s production, but that wasn’t the case just over 60 years ago. 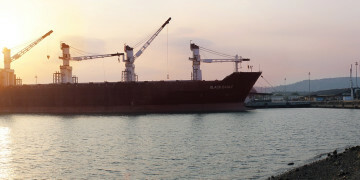 Gros Michel bananas were king, being exported around the world from Latin America. Compared to Cavendish, Gros Michel bananas are described to be creamier, sweeter, and more fragrant. Panama disease destroyed the majority of Gros Michel bananas. They are still grown in South America, Africa, and Southeast Asia, but only exported sporadically. In order for monoculture to work, new varieties need to be introduced every few years to avoid crop collapses. There’s also a greater need for sustainability. Soybeans, while proving popular as a healthy alternative for protein, are also responsible for widespread deforestation in South America. 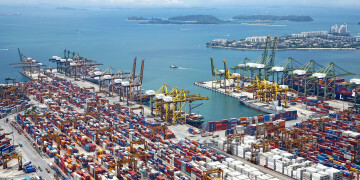 Palm oil, the most common vegetable oil, is linked to the destruction of forests in Southeast Asia and to massive greenhouse gas emissions during processing. 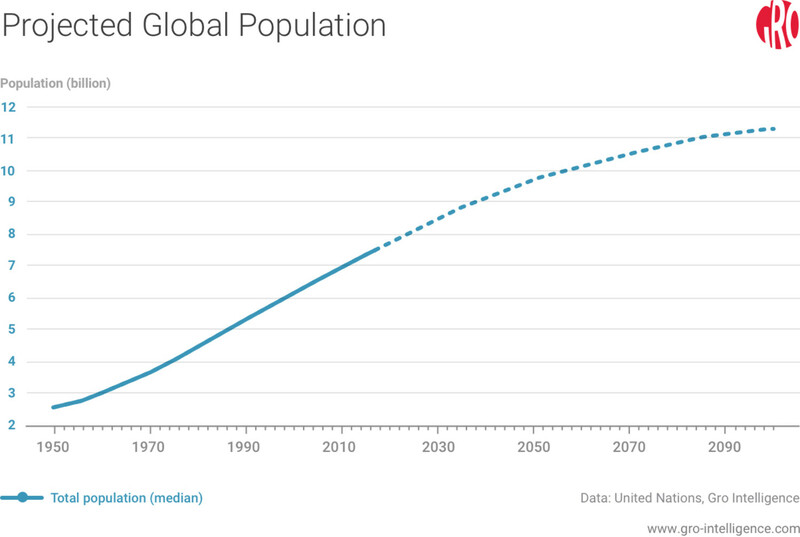 The global population is projected to reach 9.7 billion people by 2050, which only heightens concern over the world’s food supply. Beyond an additional two billion people in three decades, climate change will challenge global food security. The consequences of any disruption to the dwindling variety of crops that the vast majority of the population depends on will be magnified in the years to come. More diverse seeds are one of the few truly sustainable solutions to future food security concerns. 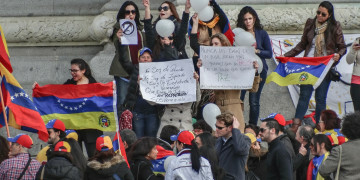 Colombia’s CIAT, Norway’s Svalbard Global Seed Vault (the “Doomsday Vault”), and other genebanks have played an important role in conserving diversity. These centers house modern crop cultivars and other cutting edge breeding materials, ancient traditional varieties, and crop wild relatives of staple crops and seeds that are no longer grown by farmers. Tapping into this genetic diversity has led to potential solutions to global food security. “In agriculture, genetic resources are, perhaps, the most underexplored natural resource still available to help us in the face of climate change and the need to feed more people over the next several decades,” said Peter Wenzl, Head of Genetic Resources at CIAT. In some ways, genetic resources are like “Lego bricks” that breeders can use to assemble new varieties of plants that are more resistant to drought or thrive in hotter temperatures. Breeders have selected the qualities of plants based on different needs. Perhaps it’s taste or productivity or better shelf life. Over time, that breeding affects how crops resist pests, disease, changes in climate, and drought. But there remains genetic resources that have not been bred for a specific purpose. Genetic sequencing can be used to characterize traits within seeds, making them even more valuable to breeders looking for specific resistances or tolerances. Last year, researchers from CIAT and International Food Policy Research Institute released beans, crossbred in varieties stored in CIAT’s genebank, in an attempt to address iron deficiency in Rwanda. The American beans are naturally higher in iron than what was being used in the country. They were crossbred with other beans that were better suited to the climate and that looked more like beans commonly eaten in Rwanda. The biofortified beans succeeded. Women who ate these beans had lower rates of iron deficiency than participants who consumed regular beans. Importantly, nothing in the lifestyle of the women involved in the study had to change. In the future, these fortified beans could be introduced to a larger population without any change in diet. Farmers would also benefit from their high yields and improved drought resistance. As part of its Future Seeds initiative, CIAT’s new genebank will provide a digital “passport” of seeds. “Because we have a lot of data on climate and soil around the world, you can use passport data to determine what the seed is resistant to and its tolerance,” said Colin Khoury, a crop diversity specialist at CIAT. The passport will include DNA-sequence information to help genebank clients identify beneficial genetic variants for crop improvement more effectively. CIAT’s new genebank will also provide open access to data. A lower barrier to entry expands the number of researchers and companies that can study the data and genetic resources. Even shaving a few years off the time to bring innovations to market could lead to saving more lives or improving nutrition in an at-risk population. Forages, or crops used for livestock, for example, could be bred that reduce methane emissions, which could help minimize environmental impact. The data within seeds would also help to improve the big crops that feed so many people and could be threatened by disease, pests, and climate change. Changing diets could reduce the threat facing a growing population amid a lack of diversity. Cassava has long been disdained in the West, but it’s a critical part of tropical and subtropical diets. 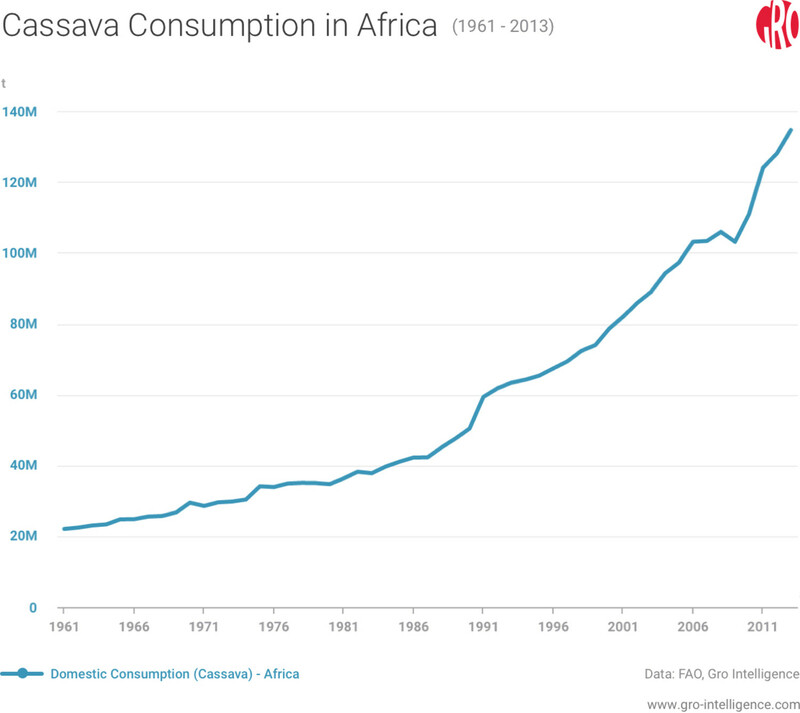 Per capita consumption of cassava has grown from 211.7 kg/person in 1961 to 229.0 kg/person in 2013. Other former staples, including sorghum and millet, could make a comeback, helping to ease reliance on corn, wheat, or soybeans. It wasn’t too long ago that quinoa was unheard of in Western diets. Now, it’s cultivated in 100 countries. Genebanks are not trying to please shareholders, so attention is paid to impact rather than profit. This approach can give countries better control of its food. In turn, farmers can increase their profits while regions can improve overall nutrition. Potential agents of great societal change live within genebanks. Banked seeds are capable of vastly improving lives and answering some of the most pressing agricultural questions.